Need Commercial HVAC Toronto Repair Services? We specialize in commercial air conditioning (installations, maintenance, and repairs), commercial heating (installations, maintenance, and repairs) for businesses and building of all sizes. Whether you have a low-rise commercial building or a massive office tower, we can help. Overall, when it comes to a commercial air conditioner, commercial furnace repair, commercial boiler repair, and other commercial HVAC Toronto services our technicians are all highly experienced, skilled, and receive ongoing training. This ensures Commercial HVAC always provides you with the high-quality service you expect, and advice you need when it comes to your commercial HVAC installation, maintenance, and repair needs. 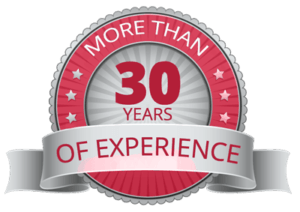 We have over 30 years of experience assisting businesses in Toronto and the Greater Toronto Area with commercial HVAC repair, maintenance, installation, and more. For a commercial HVAC Toronto emergency that requires immediate help call us. Contact us for a free quote on any heating and cooling or commercial HVAC Toronto services. Commercial air conditioners are some of the most expensive components of your commercial building. They operate day and night, especially when it’s summer in Toronto. With so much constant operation they are also one of the biggest consumers of electricity in your building. In order to keep costs in line it’s important to ensure your unit is running efficiently. This means that it will use as little electricity as possible, while still providing great cooling to your residents and tenants. On top of ensuring that your unit is operating efficiently, regular commercial air conditioner maintenance is important to reduce the wear and tear on your rooftop unit. This means that keeping your air conditioner in tip-top shape will allow all the parts and process to perform how they were intended, and when they wear down they can be replaced before they negatively affect other parts or components. Our expert commercial HVAC repair and installation technicians ensure that your equipment is the right fit for your building. An untrained technician can make mistakes like using the wrong equipment sizes, leading to inefficiencies, and unnecessary system damage. At Commercial HVAC we use our expertise to ensure things are done right the first time. When a job is started and finished by a Commercial HVAC HVAC technician you know it’s done right. Repairs aren’t always the result of neglect. Sometimes parts or components just fail, and are often covered under warranties. We’ve worked on so many commercial furnaces and boilers over the years, we have seen it all and know which units fail and components fail regularly. It’s because of this experience that we have such a good reputation throughout Toronto and the rest of the GTA for commercial HVAC services. We make it a priority to serve our customers quickly and effectively, so they can rest assured that their HVAC equipment repairs and installations are being done by very experienced and knowledgeable hands. No matter how great your commercial and industrial HVAC system is, if it’s running 24/7, then it undergoes a lot of stress. A regular checkup and regular HVAC maintenance can identify any components that may need repairs so the system doesn’t unexpectedly fail. Whether you need commercial air conditioner repair, commercial furnace repair, commercial boiler repair, or any other commercial HVAC service, call Commercial HVAC. We’ve got over 30 years of experience working on commercial HVAC systems, which means we have the skills and knowledge to repair and maintain any commercial HVAC system affordably and efficiently. Whether you need to schedule a last-minute repair appointment, an upcoming replacement appointment for an old component or a recurring maintenance appointment, one of our operators is standing by to help. We not only pride ourselves on exceptional commercial HVAC services but also great customer service. As previously mentioned, we know that not all business to business companies provide great customer service, but it’s actually a focus of our company. We want to make sure that you and your business are affected as little as possible by any breakdowns or maintenance services that need to be taken care of. When we’re on site we fully respect your staff, your tenants, and your customers and visitors. Our HVAC technicians treat everyone like family, so you know that your image and business will not be affected by our visit to your site. For more information about our commercial HVAC services, our company or our experienced HVAC technicians contact us today: 416-727-5016. If you want more information about our services online, browse through our website or check out our blog. It’s filled with great articles about commercial HVAC services, common problems, and other interesting stuff. Here’s a link to our blog.